Five league finals have been set for Croke Park next weekend. In the top tiers, Mayo taking on Kerry in football while Limerick and Waterford face off in hurling. The two Division 1 finals will be part of a triple-header on Sunday, with the Camogie league final meeting of Kilkenny and Galway taking place at noon. Meanwhile, the Allianz Football League Division 2 and 4 finals will be held on Saturday. 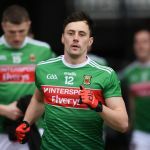 Meath take on Donegal after both sides won promotion to the top tier for 2020, while Derry and Leitrim clash in the curtain-raiser.